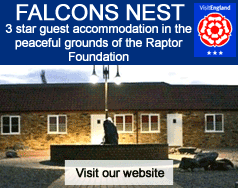 Come and see what being a Keeper at The Raptor Foundation is really like! dissect pellets; participate in the flying displays; learn the falconry knot; put equipment on the birds and meet the reptiles. £24 per child (ages 7-15 years) . Please dress for the weather.